Visit the Krieg website and the first thing you’ll see in bold letters is “Badass Chalk Bags,” and that would be accurate. Krieg makes bags for climbing and cycling in endless color-ways, relentlessly creating new patterns and prints for the past two decades. 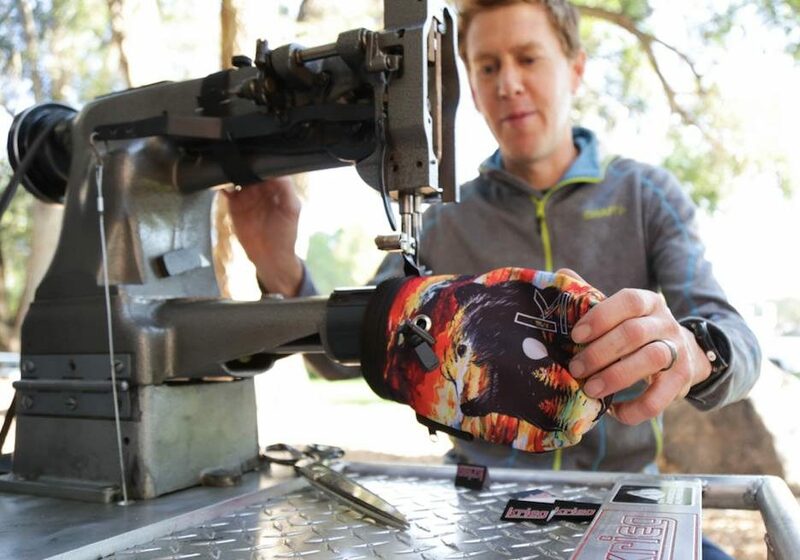 Sam Krieg, founder of the Idaho-based company, still sews some of those badass bags himself, complete with designs like retro mix tapes and pink ninjas. Sam says he found the inspiration while he was a young climber in the Midwest in the 90’s. He wanted an expressive piece of equipment rather than sporting the typical black chalk bag most climbers wore, so he bought some fabric and sewed it himself. That mentality has carried Krieg through 19 years of service, growing it into a bustling operation that produces bags for some of the largest and smallest retailers in the nation. Krieg’s focus is on climbing chalk bags, saddle bags for cyclists and multi-Klava for winter sports. Now based in Pocatello, Idaho, and armed with an arsenal of a few dozen industrial sewing machines, Krieg has a small crew of outdoor enthusiasts and sewers that can create just about anything. Sam says Idaho has proven to be an outstanding landscape for both operations and product testing the bags his company makes. “We use and abuse everything we make, Idaho is a pretty rad place to live and work. He notes the access to recreation like skiing, cycling and mountain biking, the low traffic density and the amazing low cost of living as reasons why he’s proud Krieg’s products are Tested in Idaho.